That’s right –Ooma is partnering with Amazon to provide advanced voice-enabled calling capabilities using Amazon Echo and its voice-activated virtual assistant, Alexa. As the first-ever home communications solution to enable calling capabilities for Amazon Echo, Ooma continues to lead the way as the communications hub of the smart home. Alexa allows Amazon Echo users to initiate domestic phone calls using voice commands over Ooma’s cloud platform. The Ooma Calling Skill can be enabled from the Amazon Alexa App and activated for free. In addition to the partnership with Amazon Echo, the Ooma Telo offers integrations with smart devices such as Nest, Philips Hue and LIFX, iOS and Android devices and wearables, WeMo and Dropbox – enabling new ways to communicate and be notified of important events at home and bringing both convenience and simplicity to homes everywhere. This hasn’t worked. I successfully enabled the skill, but it doesn’t recognize any contacts, and says that I need an Ooma account to dial a number or play voicemail. You can still use the Ooma skill on Alexa even if you do not have an Ooma account. Once you have gotten the Ooma skill set up, you will be able to take advantage of many features such as making calls and saving nicknames for frequently-used numbers. 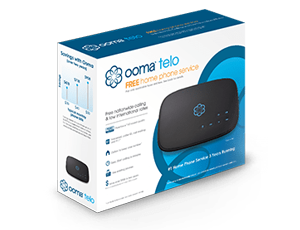 Some features, like international calling and listening to voicemail, require an Ooma Telo. Please contact Customer Support at 1-888-711-6662 if you have any further questions. Where can we find instructions on how to connect and use Ooma with Alexa? So, am I getting a free Ooma, am I just able to tell my Echo to call my mom with only enabling this skill, and if so, how does Alexa know my moms number? Hi James. Great questions! You are not getting a free Ooma. 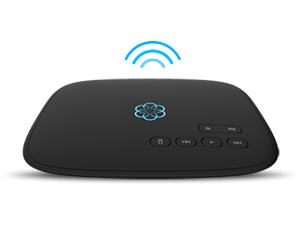 If you currently do not own an Ooma Telo you can download the trial with Amazon Echo. If you do own a Telo- you would just activate/enable the skill. Here is our support link to answer all your questions: http://support.ooma.com/home/amazon-alexa-integration/ Let me know if there is anything else I can answer for you. Will this work with first generation (White) ooma units? No, it will not work with the Hub. I enabled the skill, and when I try to use it, the phone (that is connected to the coma) rings (which I expect) then I hear a recording saying my prepaid account balance is zero and I need to go online to add funds. Which is weird because the marketing and advertising says it can make free calls. I am trying to call my cell phone from inside my home when this happens. I called support, and it has been escalated to Engineering. Hopefully they get this to work! Hi Andrew. Did you select “Login with existing account” option? This is probably the reason you are getting the account balance because it thinks you are using the trial. Please contact Customer Support at 1-888-711-6662 if you have any further questions. Its NOT working. I enabled the skill but Alexa does not have info that i am on ooma. Unlinking on your website says” something went wrong”. Please fix it. we are all eager to use the convenience it offers. When you logged in- did you select the “Login with existing account” option? If not, please re-add the skill. Trust me on this because I tried to link with Ooma many times and did it wrong many times. When you enable the skill it loads a screen for you to enter you ooma number, email, zip, etc. which I kept doing over and over. Printed beneath this it says ‘or login with existing account’ . when you choose this you get a screen where you enter your ooma number and your password that you set up online and press enter and it says to click to complete activation. When all this is done correctly it works! Will this work with Alexa on the Fire TV? I can install the Alexa Skill there just fine, but I don’t have an Ooma yet to know if it will work. Yes it should work Shawn! Please contact Customer Support at 1-888-711-6662 if you have any particular questions on setting it up- a representative can assist you through the process. Hi Derek. Please go to the Alexa app on your smartphone, disable the skill, then re-enable it and be sure to sign in with the primary phone number on your account. I have a black Telo that is about 4 years old. It works very well and is connected to the router with a cable. Will Alexa worj with it or do I need to buy a Telo Air?